Without a doubt, the big buzz in security technology for 2014 is the evolution of the smarthome but what do the new smarthome systems mean to your home security? A smarthome uses advanced home automation systems to control lighting, environment, multi-media, security, and numerous other functions. These “intelligent” homes may sound slightly far-fetched but the technology is here and it’s becoming progressively more sophisticated. A smarthome system allows the electronic devices in a house to seamlessly integrate with each other. Typically, home automation controls domestic activities through a network allowing control via smartphone, computer or tablet. By combining information technology with the home environment, systems and appliances can communicate, resulting in convenience and safety benefits. Not so long ago, appliance developers were convinced that these advances were a long way off. One of the seemingly insurmountable problems was the development of a language for devices to communicate with one another. It seemed then that such a language would not be available for a long time. Now with WiFi to communicate between devices and user interfaces like Android and iOS being common in most households, home automation has arrived. 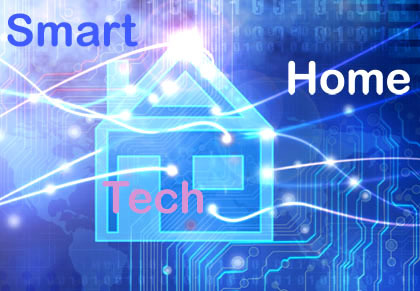 Many people assume that smarthome technology is extremely costly. What’s made home automation costly in the past has been the smooth integration of the array of devices remotely controlling various features of the home. New developments that make smarthome technology affordable also serve the purpose of greatly improving security measures. Many of us were introduced to the smarthome concept through popular media years ago. Back then, this technology had to be built into a home’s architecture and was only available to the uber rich. Smarthomes were sci-fi stuff and out of reach of the average homeowner. Nowadays, any average home can be converted into a smarthome. You don’t have to build a new home just to get smarthome technology. With the advent of WIFi you don’t even need special wiring. Manufacturers have ensured home automation systems are easy to use, a cinch to install and surprisingly affordable. Some home automation devices can be installed in under an hour and are not overly difficult to use. Most members of the family will be able to control the appliances, security system, thermostats, air conditioners and lighting. Because the safety of your family and the security of your home are paramount, consider starting the conversion of your home with upgrading the security system. Surveillance equipment and security lighting along with activating and deactivating of the alarm can be accessed using your smartphone, tablet or computer. You can monitor your home remotely. The smarthome security system typically starts with a control panel using cellular connections. In the event of an emergency, this panel will alert the monitoring company. Internet connectivity allows video streaming and wireless door and window sensors monitor intrusions while motion detectors track movement. Motion sensitive, video cameras can relay activity inside and outside the home allowing you to see who’s in your home when you’re not. A smarthome allows you to layer on automation features to increase security. Lighting can be turned on and off or dimmed to deter burglars. Monitor or activate programmable locks on your doors remotely by using your smartphone or computer. Homeowners care about comfort and security and the new developments encourage people to upgrade their traditional homes to smart homes. Is it any wonder that improved home security features are a huge component of today’s smarthomes?